We are a custom studio and will do our best to be as close to the original catch as possible. Being a custom studio; we can replicate to match the original in colour and detail OR “correct” any colour or deformity that the client wishes. Ultimately, an accurate length (tip to tip) and largest girth measurements are all that are required and a good picture of the fish to show shape and colour. 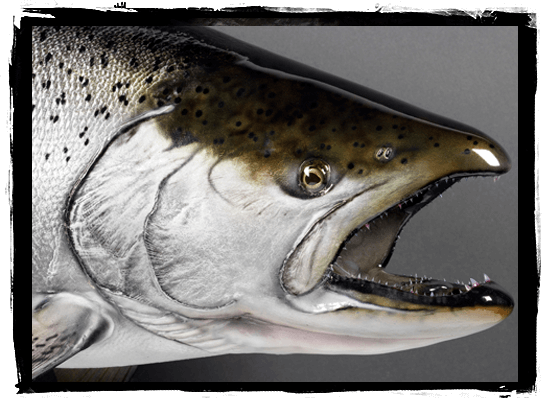 We can still do a replica from a “tall tale” where a client doesn’t have any measurements or pictures; as we can figure it out from some simple questions with the clients to determine what we would need to reproduce their catch. Orders can be placed by phone, email or in person at the Advanced Taxidermy showroom. Please feel free to call us at the studio at 1-888-691-1216 with any questions you may have.